An article entitled "The New Era of Global Stability" recently appearing in the Wall Street Journal, first published by the Hudson Institute, argues that a "new era of stability" is upon us and "Ideology no longer matters." The author is a distinguished historian and Senior Fellow at the Hudson Institute, Arthur Herman. In the article, Dr. Herman states that we are in a period in history "defined by the balance-of-power geopolitics" which is practiced by the leaders of the Peoples Republic of China, the Russian Federation, and the United States. Not Lenin's ideology, but "iron and blood" decide the questions of our time, states the author. Whether ideology, specifically Communist ideology, is a major factor in the world or not is a vital question, because it defines the kind of struggle we face. The article says that Xi Jinping of the Peoples Republic wants the power of Mao but does not seek to "breed revolutionary wars" and that Vladirmir Putin mourns the end of the Soviet Union "not because it marked the end of Lenin's dream of world communism" but because it meant "the eclipse of Russia as a superpower." China, Russia, and the United States are rivals in a world that resembles the global situation of 1917 before Lenin's Bolsheviks seized power in Russia, the article argues. Today Putin's Russia, the Peoples Republic of China and the United States are locked in a rivalry where "armed strength, diplomacy and alliances" matter and not ideology. While the article presents interesting arguments, there are important events and political developments which are not addressed. As we look more deeply into the question, we will see that ideology, Communist ideology, plays a much more important -- and sinister -- role than thought by many. It is true that violent revolution, except possibly in college and university academic lounges, is seldom openly discussed as a necessary political step. One reason is that the governments of many nations around the world accept socialism to a greater or lesser degree, and Communists are finding some success at the election polls. Even the bloody Revolutionary Armed Forces of Colombia (FARC) has signed a peace agreement with that nation's government ending 50 years of civil war, although for the present the much smaller National Liberation Army (ELN) continues fighting. Elections have already been favorable to Communist or extreme leftist factions in several Latin American countries. Nicaragua, Uruguay, Ecuador and the once rich but now nearly failed state of Venezuela are examples. Over the years Communist theory has changed. In the 19th century, Karl Marx considered communist victory to be the inevitable outcome of human history. By the early 20th century, Lenin taught that a specially trained group of revolutionaries was necessary for Communism to triumph. When even Lenin's well-trained Marxist cadres could not bring about world revolution, another strategy was need. By the mid-1930s the founder of the Italian Communist Party, Antonio Gramsci, supplied a unique solution. In its basics, Gramsci argued that Communists could change societies by changing the accepted social norms -- what is considered "normal." Communists would then be in a position to dictate how society is to be formed and have the ability to crush all opposition. 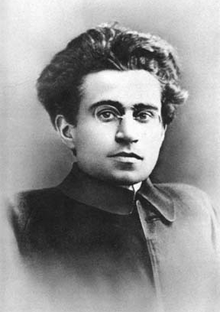 Gramsci and his theories achieved a high level of respect and acceptance in the Communist world. There is a Soviet-era plaque in central Moscow dedicated to Gramsci which, in part, states that Gramsci is an "eminent figure of international Communism." There are few Communists advocating violent revolution because Gramsci's vision of changing society from within is achieving results, at least for the present time. As for the article declaring that the Peoples Republic of China (PRC) and the Russian Federation are non-ideological states, recent developments, unfortunately, tell a far different story. The use of what has been called "digital Leninism" refines the social engineering of the Chinese Communist Party and brings Marxist state control of China's people into the world of high technology. PRC president Xi Jinping is a dedicated Marxist and has been recognized as an important Marxist thinker by the Chinese Communist Party. The Party has lavished praise upon Xi as one who has "contributed significantly" to Party thought. For Xi and the Party, "ideology" is alive and well in the Peoples Republic. The PRC has a staunch friend in the Russia of Vladimir Putin. The Russian Federation has close military and political ties with the PRC, which go back to the earliest days of the "new" Russia. The Peoples Republic of China and the Russian Federation are not rivals, but cooperate in virtually every aspect of international relations, including joint naval maneuvers in the Western Pacific which directly challenge the United States Navy. Their military ties have always been close and are getting ever closer. While Putin is lauded by some in the U.S. as a Christian ruler who opposes homosexual political activists, in reality he is a despot who restricts religious practice and makes God a virtual department of state. Putin's hostility to homosexuals is based in his recognition that homosexuals' inability to reproduce only worsens Russia's alreadly problematical birth rate. No babies, no soldiers. It also gives Putin a convenient stick with which to beat the West. Putin, in reality, remains a Communist. He has not only stated that he considers the collapse of the Soviet Union to be a "geopolitical disaster," but also retains his membership card in the old Soviet Communist Party. He proudly counts himself a "Chekist," a term referring to "ex"-Soviet and Russian Federation intelligence officers. The individual who calls himself/herself a "Chekist" identifies with the vicious Felix Dzerzhinsky, the founder of the Cheka and the Cheka's Communist goals. Putin states that he likes the ideas of Communism "very much," and likens Communist ideology to the Bible (a bit of Gramsci at work here). Putin has signaled his approval of the not-so-biblical former Soviet leader and mass murderer Josef Stalin, as well as Dzerzhinsky. While acknowledging Soviet "mistakes," Putin and his government foster a revere for the USSR whenever possible. Outside of Putin's government, Gramsci's concepts can be seen in the statements of Russian Orthodox Patriarch Kirill who supports the Chekist Putin and spoke glowingly of Fidel Castro in a statement at the death of the Communist Cuban dictator. Kirill has awarded the leader of the Russian Communist Party, Gennady Zyuganov, with the ecclesiastical order of "glory and honor" because of the Communist leader's concern for the welfare of Russia and the "protection of traditional moral values." One of Zyuganov's "traditional" values is respect for and reestablishment of the Soviet Union. Communist ideology is not dead in Russia or China, Putin is not a would-be Tsar, and the Russian Federation is not meant to be the final manifestation of the Russian state. For Putin and Chekists like him, a new Soviet state will emerge with Russia as its foundation. This new Soviet state will act as a strong ally of the Peoples Republic of China with both sharing a Marxist-Leninist ideology. Ideology is still in play and it is hostile to the United States. Not to recognize this puts America and our world in danger.